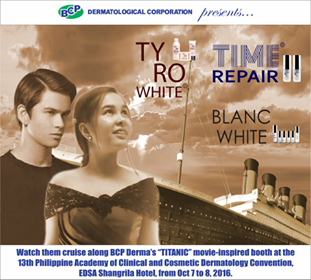 Three major skincare products take center stage during the 13th Philippine Academy of Clinical and Cosmetic Dermatology Annual Convention, from Oct 7 to 8, at the BCP Dermatological Corporation Exhibit Area, Dapitan Function Hall of EDSA Shangri-la Manila. An innovative dual formulation that reverses the effects of skin aging. A natural, safe, and affordable formulation that whitens skin in just 7 days, without the adverse effects experienced with other whiteners. Proof of its effectiveness was in the clinical trial conducted and published in the journal of the International Society of Dermatology. A complete skincare regimen that is considered as the gold standard in whitening, with added anti-aging benefits. 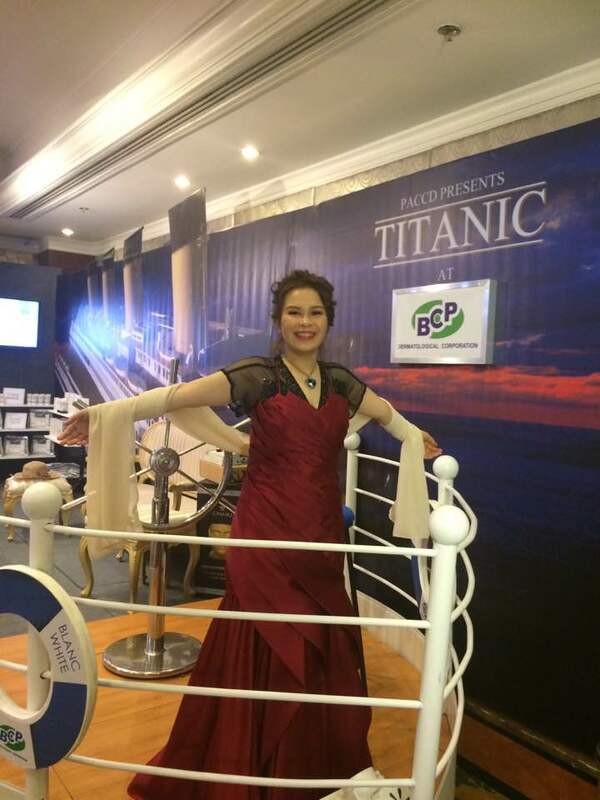 All products are presented under the immortal theme of Oscar Best Picture, “Titanic”, which strongly evoke their timeless promise to those on a voyage-like quest for youthful and whiter skin. For more details on the products, consult your Dermatologist..